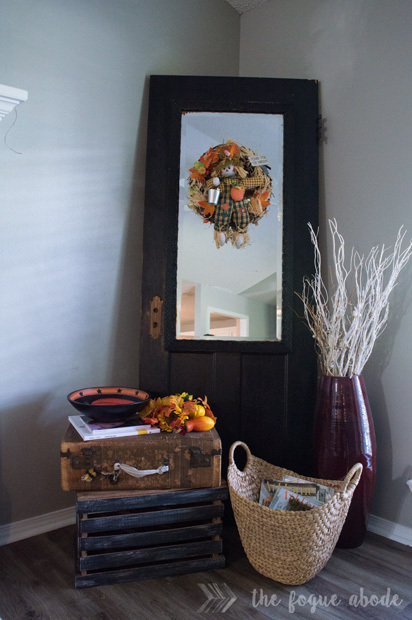 I’ve been jabbering about it for 2 weeks and I can finally say fall has come to the Fogue Abode! As is my tradition, I always spend Labor Day weekend saying hello to fall instead of goodbye to summer. Fall is such an exciting time around our house. The anticipation of the holidays, fairs, pumpkin patches, football. I mean, I could go on for days about why I love fall. 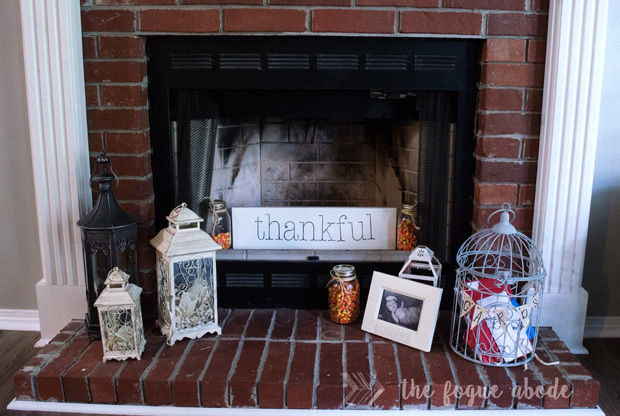 It’s also one of my favorites to decorate for…well it’s second only to Christmas. I spent the weekend getting out my seasonal decorations and gathering a few supplies for some new stuff. I hit the jack-pot at the dollar tree. 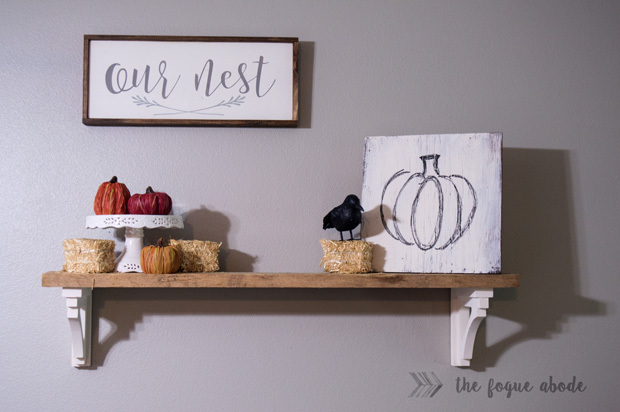 It’s one of my favorite places to shop for cheap seasonal décor. I found these cute pumpkins and hay bells. And to add in some spoke, I found these black birds as well. 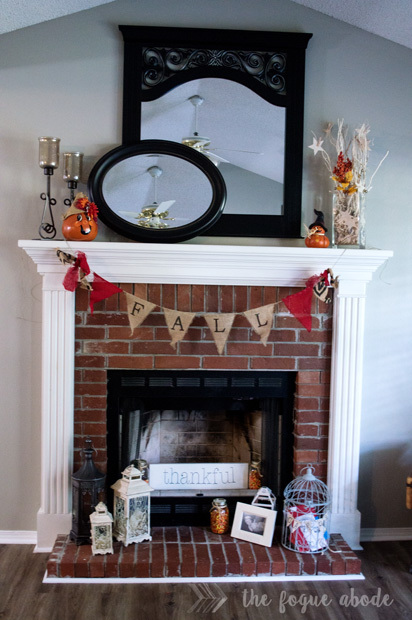 How about these fun fall signs? The pumpkin and thankful are part of a new collection of signs created for a fun project I have started with my mom. Make sure to check out instagram for more details on that and follow along with @bushelandapeckdesigns. 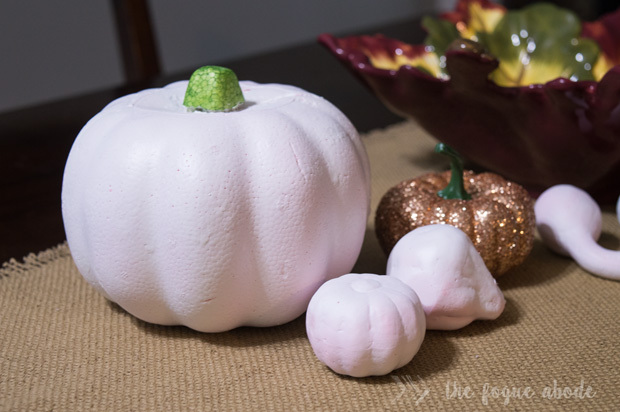 I also finally got my white pumpkin fix. Took a little bit of work, I looked all around our small town and didn’t find a single white pumpkin. 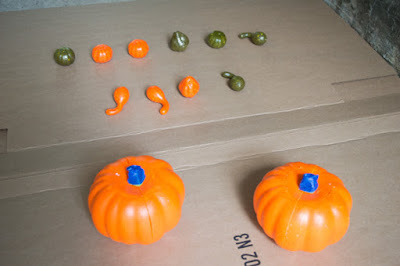 A few dollar tree pumpkins and some white spray paint took care of the job. Here they are so pretty and crisp. 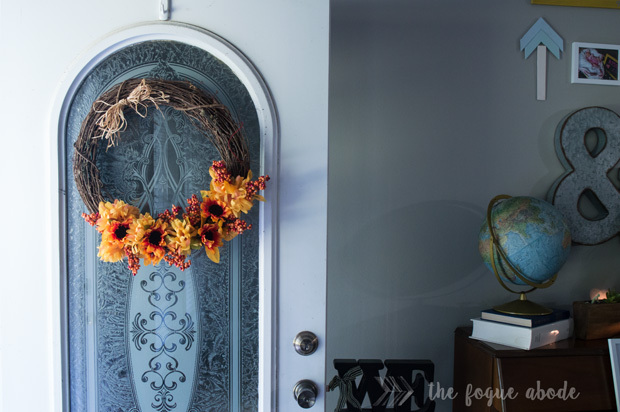 While I was at the Dollar Tree, I also got some florals to update this wreath. I love the simple rugged look, now to just do something about this door. I’m seriously debating on a paint color for it. 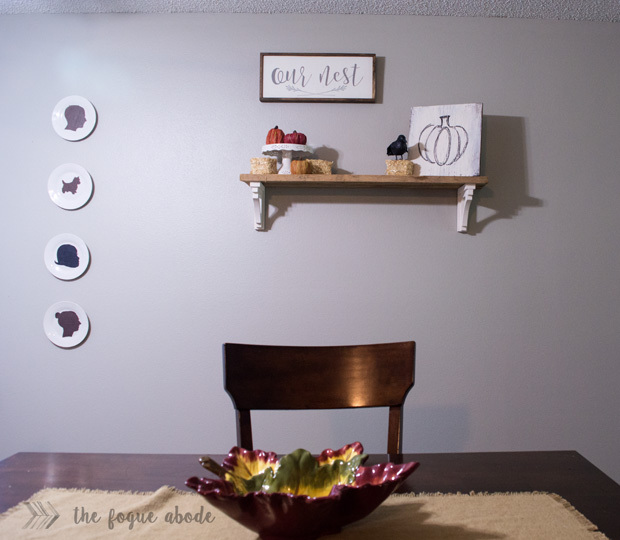 Have you added any fun new fall pieces to your decoration collection?